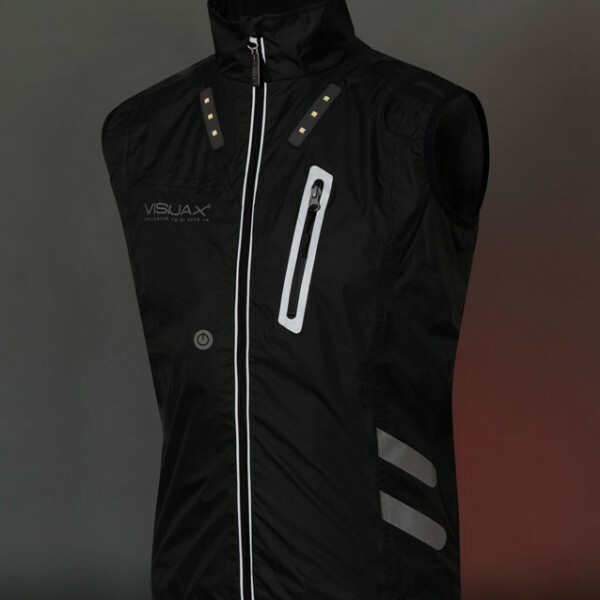 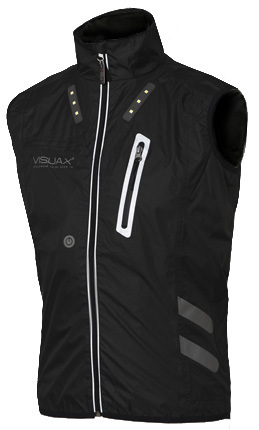 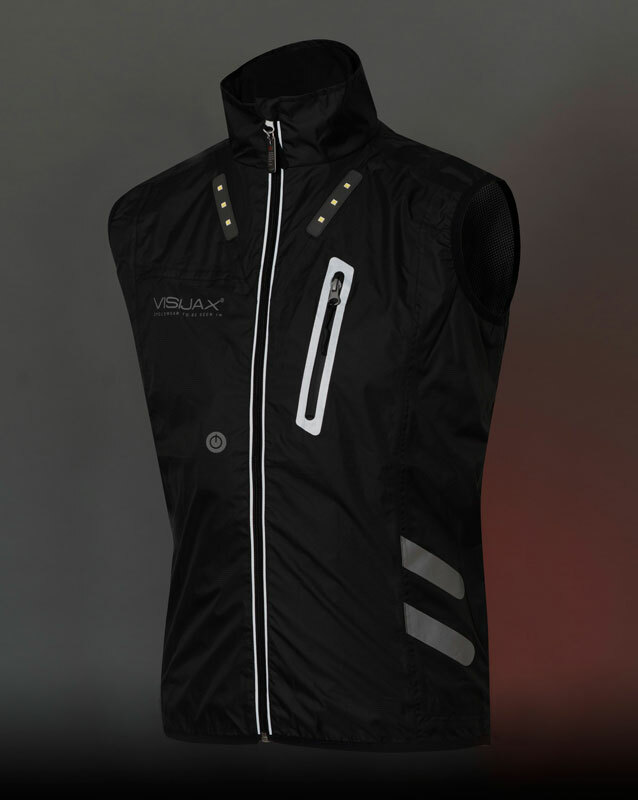 The VISIJAXﾮ ‘Gilet’ is ideal for ANY outdoor activity, whether jogging, cycling, or simply walking the dog. 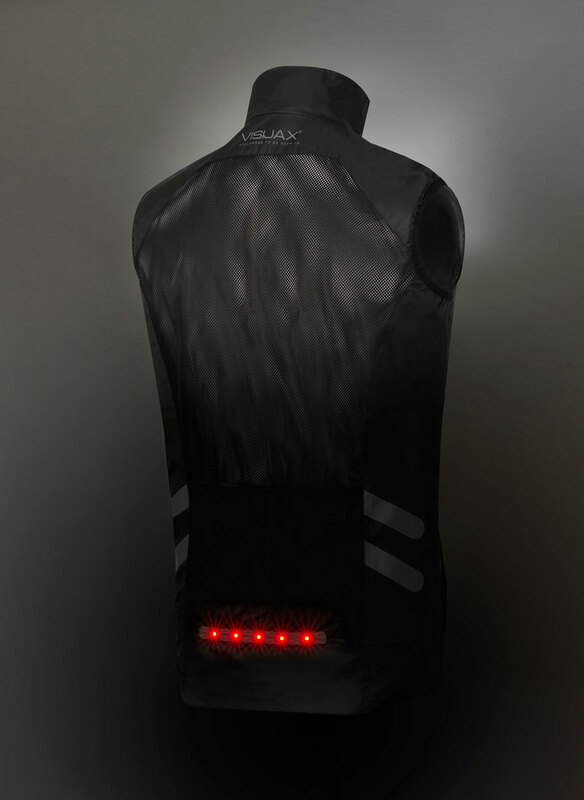 Although it doesn’t have theﾠLED indicators of the VISIJAXﾮ ‘Commuter’ or ‘City Ace’ Jackets, it is still suitable for cycling, its 11 high-intensity white and red LEDs certainly make it far more visible and therefore safer than most other cycling wear. 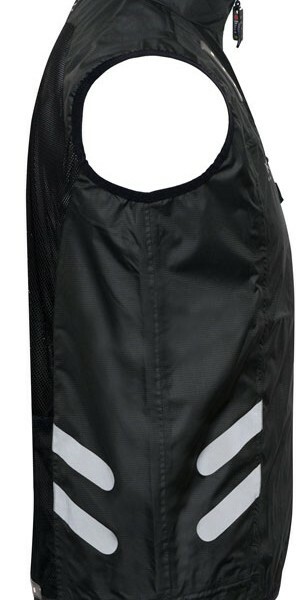 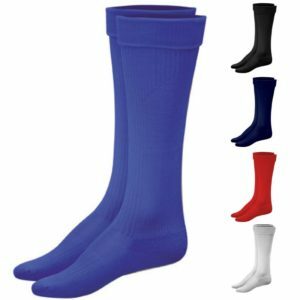 Aﾠrechargeable battery good for up to 20 hours continuous use between charges, and all built into what is essentially a very high quality technical gieltﾠthat is lightweight, breathable, and has 100% waterproof taped seams. 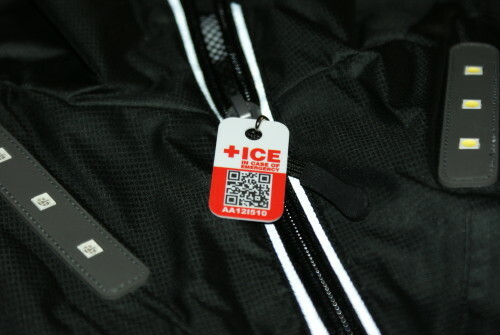 As with all other VISIJAXﾮ jackets, it also includes a free ICEid tag (worth ﾣ9.99), making it one of the most visible and safest cycling jackets in the world. 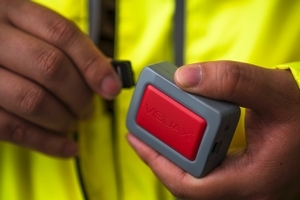 The Giletﾠis so much more than flashing lights. At itsﾠheart itﾒs a very high qualityﾠall-weather outdoor garmentﾠfor comfort in rain or shine. 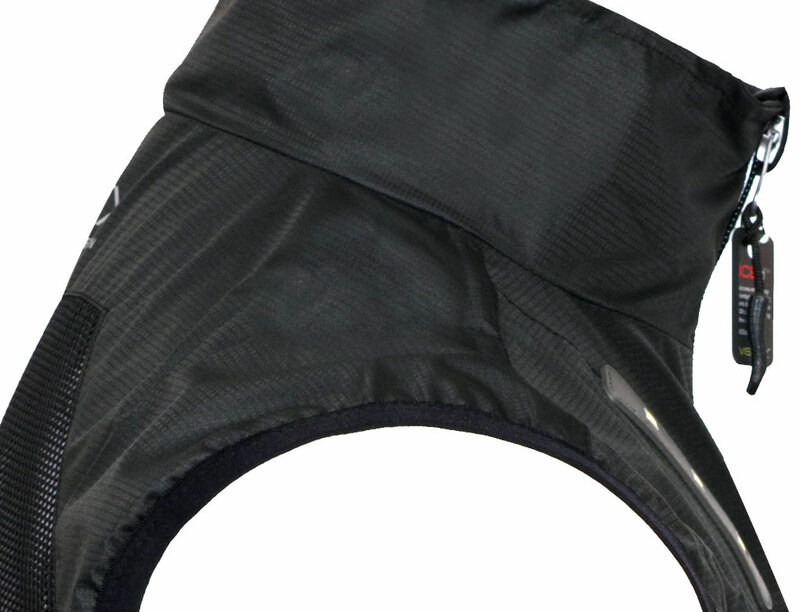 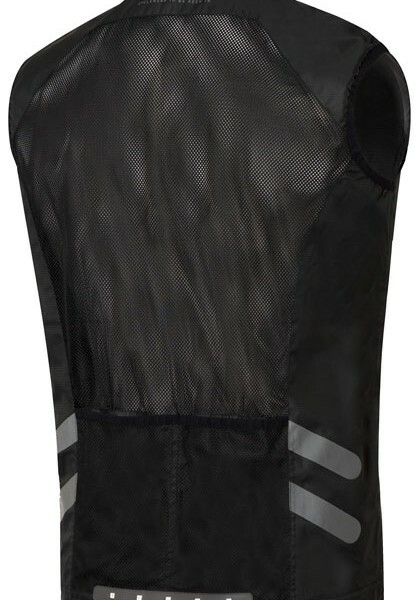 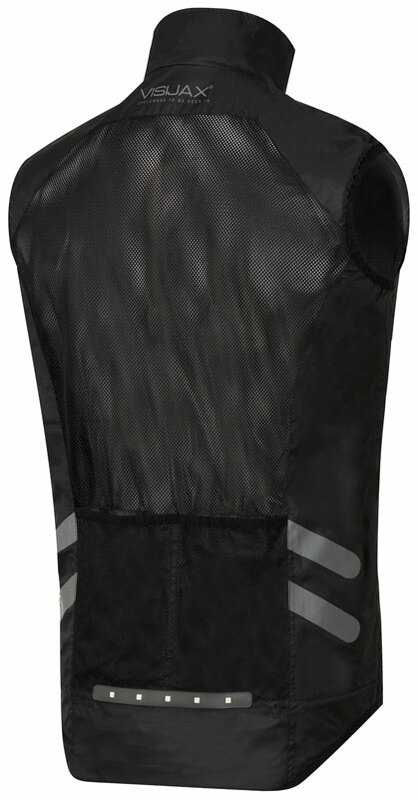 With a breathability rating of 5000g, you can enjoy riding or running, with added cooling via the mesh panel. 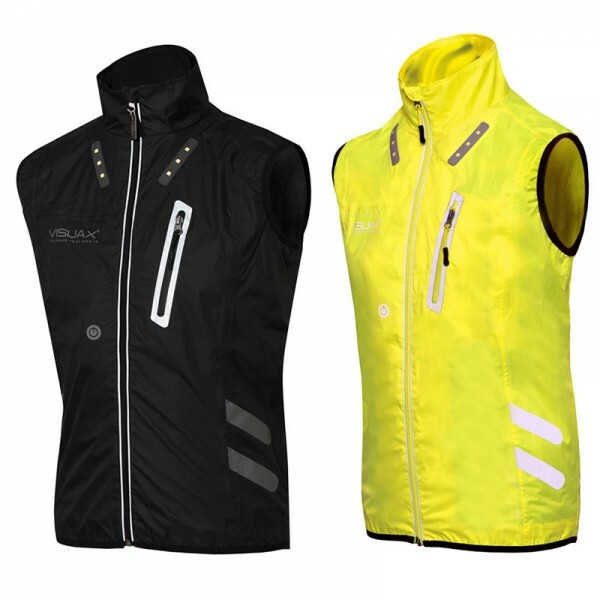 With the battery removed, the Gilet is machine washable. 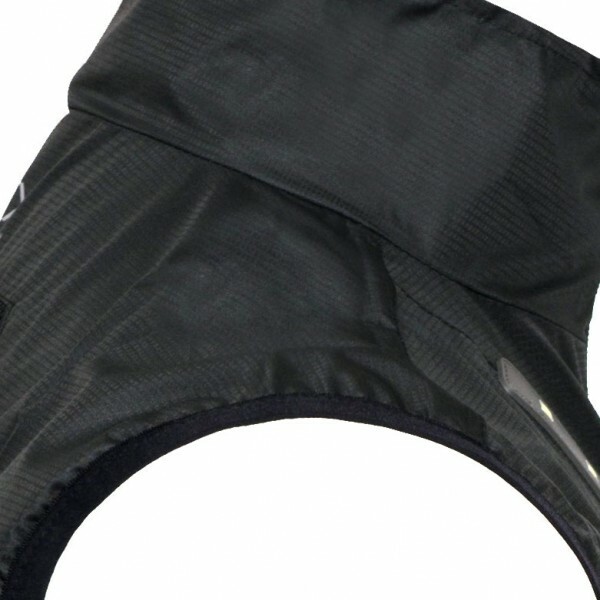 (Outer: Polyester jacquard pongee. 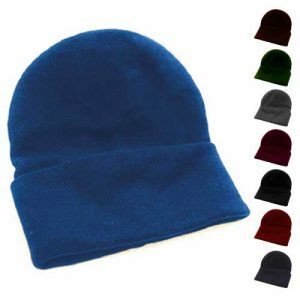 Lining: 100% Polyester). 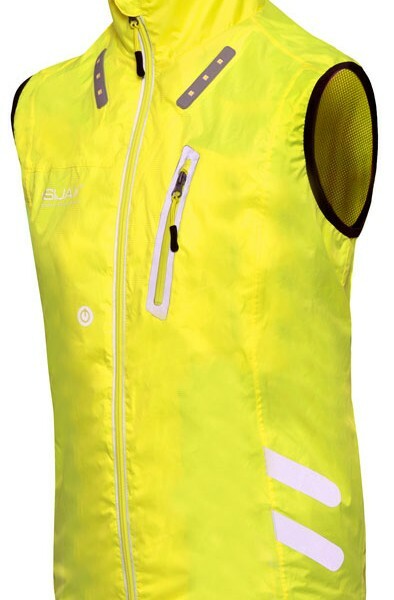 Improved visibility enhances safety. 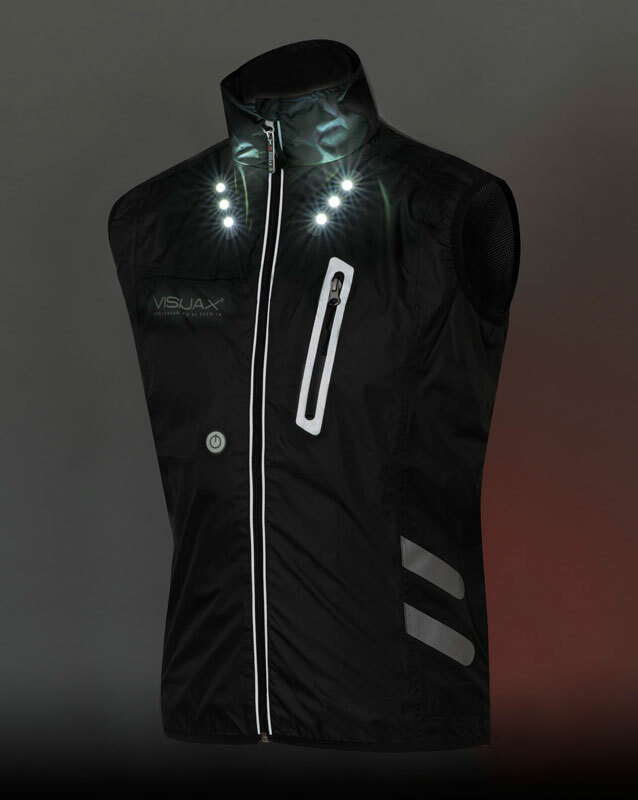 Thatﾒs why the Visijaxﾮ Gilet hasﾠ11 incredibly bright high intensity LEDs embedded into the fabric of the jacket in strips. 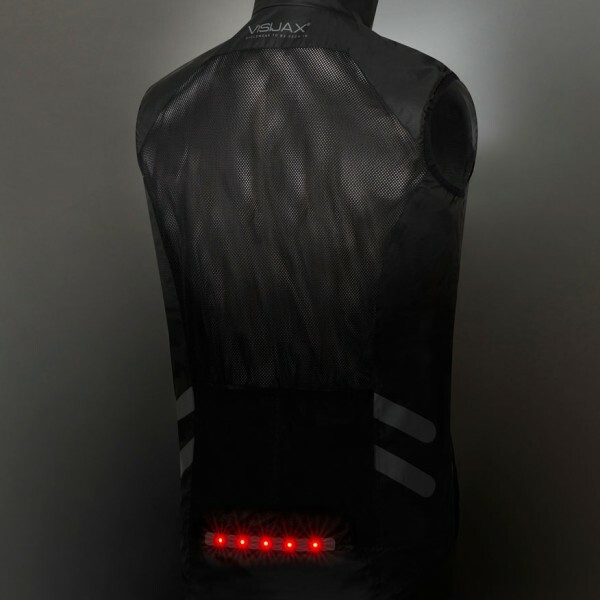 The five red LEDs on the tail can beﾠseen from 400 metres away in a variety of light levels, as can theﾠsix white LEDs optimally positioned on the front torso. 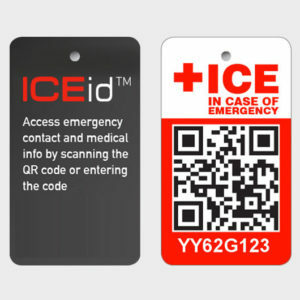 So how does it all work then? 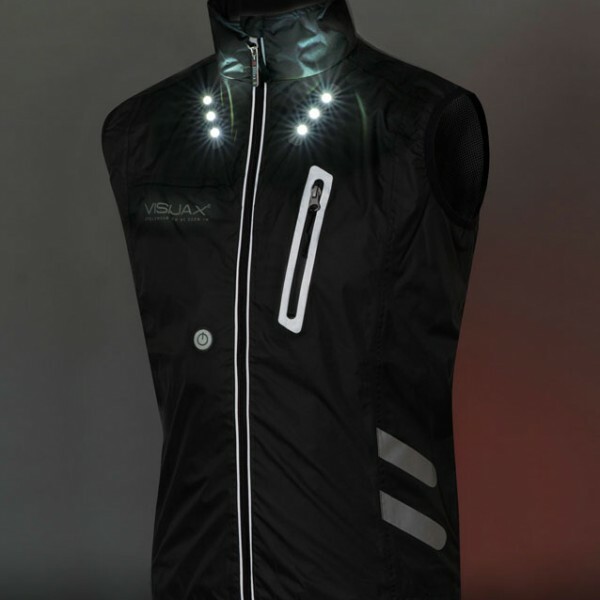 The Giletﾠis powered by a lithium-ion battery which will keep you safe and seen for 20 hours of continuous use. 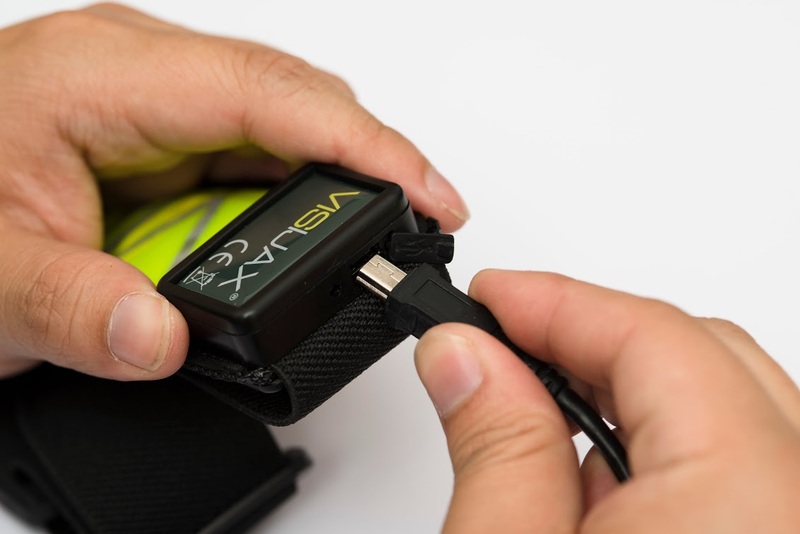 The battery is rechargeable from any USB slot (charging cable supplied) and easily clips and unclips from a pocket on the inside of the jacket. 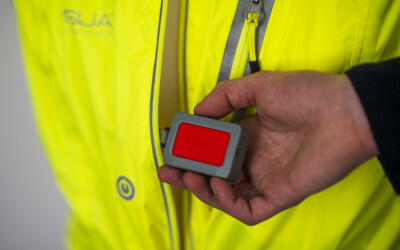 Choose from three LED settings: slow flash, quick flash and constant, as well as a fourth rapid flicker indicating low battery.